As I might have mentioned once or twice before, I was once an academic philosopher. I left the field for various reasons, some personal and some professional. Among the latter is my belief that the university environment is helping philosophy to die a slow death. Academic philosophy seems to grow more and more irrelevant with each passing year. Here is a recent example. I was listening to a radio phone-in show a few weeks ago, where the topic of discussion was something like “The Life Worth Living”. It naturally gravitated around questions of ethics and the good life — the traditional purview of moral philosophy. One caller, in response to a question about how one decides what is ethically right, launched into a learned disquisition on the nature of moral reality, meta-ethics, moral realism, moral non-cognitivism, non-natural moral properties, the naturalistic fallacy, blah blah blah… I immediately recognized the professional jargon he was manipulating and vomiting forth, and it took me no time to surmise that this young man (for so he sounded) was a graduate student in philosophy. The host of the show, to his credit, was quite perceptive, and after a certain point caught the caller short with the following simple question: “That’s very interesting. Now how do you apply this in your own life when making difficult ethical decisions?” The learned caller was literally speechless. 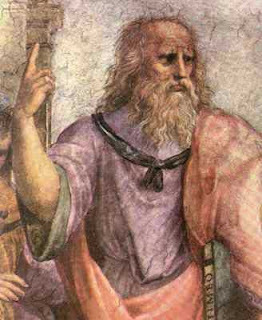 The poor fellow had not the first notion of how to step down from the lofty heights of meta-ethical speculation to address the earthy topic at hand, which was, “How should I live?” If academic philosophy can no longer engage with this question, which is arguably the only truly useful task philosophy has left to it, then maybe the discipline should be put out of its misery. The irony is that many callers who sounded much less educated than the young philosopher was, gave answers to very much the same question that were a million times more sensible and informative. Although they were not learned, these were people who “knew what’s what, and that’s as high / As Metaphysick wit can fly” (Samuel Butler, Hudibras (1663), I.i.149-150). Still, despite all my protestations to the contrary, philosophy is still in my blood, which is why I continue to follow “Leiter Reports”, a blog directed at academic philosophers, done by Brian Leiter, who is a philosopher teaching in the law faculty at the University of Chicago. Back in March of 2009 there was a posting on the site that pretty much confirmed my suspicion that academic philosophy is moribund (with apologies to Professor Leiter, who produces what is actually a very engaging blog, given the subject matter). The posting was a list of the top forty “most important philosophers” of the past 200 years, the results of a poll of professional philosophers, who in total cast 600 votes. I reproduce the list below, after which I’d like to subjoin a few remarks on what the list might tell us about academic philosophy today. Next, to my knowledge, there is not a single person of colour on the list, which is too bad, given that there have been, and are, some top-notch philosophers of one colour or another (e.g. Alain Locke, Cornel West, Kwame Anthony Appiah, Amartya Sen, and Jaegwon Kim). The continuing lack of visibility of women and minorities in philosophy is probably related to the aging of the profession (see below). Gender and colour aside, there are also what I take to be some unusual exclusions from the list. No Jeremy Bentham, Auguste Comte, Ralph Waldo Emerson, Henry David Thoreau, Herbert Spencer, or Mikhail Bakunin — any of whom is easily more “important” (by almost any standard) than, say, Lewis, Sellars, or Strawson. Even if we stick to the evident modern and Anglo-centric biases of the respondents, there are still other interesting omissions: R. M. Hare, W. D. Ross, Isaiah Berlin, David Gauthier, F. H. Bradley, R. G. Collingwood, H. L. A. Hart, Ronald Dworkin, Thomas Nagel, and Robert Nozick. As these names indicate, there also seems to be a relative lack of moral and political philosophers on the list, which is strange, as arguably philosophers in this area are more likely to be important in the “real world” than philosophers from other areas (although here my personal bias may be speaking). Obviously, “important” for the purposes of this list means important to academic philosophers, and to the work they do. If “important” meant something like “having an impact outside the academy”, I imagine the list would be very different indeed. Instead, the list is heavily weighted towards philosophers in the analytic tradition, which I suppose is understandable, given that respondents may be presumed to be overwhelmingly English-speaking. But why are so many of them logicians? Four of the top five, and five of the top ten, are primarily logicians. In total, ten of the forty, or one quarter, are primarily logicians. This tally uses my own very narrow conception of “logician”, otherwise I calculate that the number could go as high as sixteen out of forty. What is also somewhat disconcerting about the list is that only three of the people on it are still living (Kripke, Dummett, and Habermas), and given how old they are, only just. Why is this? It’s possible that there is simply no “important” philosophy going on anymore (and I would agree that there’s precious little of it). On the other hand, it might be the result of professional jealousy, with no one wishing to nominate a potential rival. However, my hunch is that, with universities hiring fewer and fewer new tenured and tenure-track professors, philosophy faculties are aging significantly. Although I no longer teach, I still work in a university philosophy department, and sometimes I feel like a care worker in an old age home, except that, instead of changing sheets and giving sponge baths, I teach old philosophers how to use computers and fax machines. Thus, I suspect that to a significant number of the poll’s respondents, names like Strawson, Rawls, and Quine still seem current (indeed, the latter may even have been their teachers), whereas to my generation, these names might as well belong to contemporaries of Plato or Aristotle. The conclusion I’ve come to is that philosophy needs to reform itself, and fast. However, I doubt that this will happen. Instead, I imagine it will continue to die its slow and inglorious death, mewed up in its quiet sickroom, shielded from the sordid noise on the street outside by the thick walls of academe, whining all the while about how no one listens to philosophers. The death of academic philosophy could even be a literal physical one, given how its practitioners are aging. And when the death finally happens, will there be anybody left who will notice or care? On the brighter side, something that looks like philosophy may end up flourishing outside the universities. After all, some of the most glorious movements of thought and culture have happened when intelligent and curious people have grown dissatisfied with what was going on behind those high academic walls. For the most part, the Enlightenment was not constructed in schools but in salons, clubs, associations, and newspapers — in short, in the public sphere. Perhaps blogs will play midwife to the next great philosophy (remember folks, you read it here). Sadly, universities are supposed to be maternity wards for ideas, but when it comes to the humanities, they’re really more like funeral homes. My opinions about philosophy (and philosophers) are obviously shared by many, otherwise so many contributions to Professor Leiter’s blog would not need to be devoted to defending the discipline from precisely such complaints. Indeed, rather than defend it against such complaints, some contributors actually glory in them, proud of their professional reputation for nastiness and incivility, and writing off critics like me as lazy-minded dullards. These latter seem to represent the “macho” persona of the profession, the one that probably turns off potential female participants. And of course, if professional philosophers can continue to somehow bamboozle various institutions, foundations, and government agencies into granting them funding, then why should they care about what we dullards think? If such arrogance and posing makes philosophers feel good about themselves, then they are welcome to behave so, but they thereby renounce the privilege of lamenting the fact that the public doesn’t care about what they do. In an ironic sense, maybe the gradual death of the profession represents a win-win scenario for all concerned. After all, with fewer professional philosophers around, those that are left will probably experience the gratifying sense they are more important than they really are, while the rest of society will suffer little from their thinning ranks. That sense of self-importance is certainly palpable on blogs like Leiter’s (again, with apologies to Leiter himself, who, no doubt, is a thoroughly decent chap). I read your post with interest, but wonder: apparently some respondents to the call-in radio program you mention gave useful/illuminating/sensible or some such answers to the question "How should I live?" Unless your readers are all supposed to be fully enlightened already...might you have ventured a report on these answers? Perhaps they should be communicated to those dullards, moral philosophers, at least. Another question: perhaps the philosophy graduate student (if that he was) could not connect his meta-ethical disquisitions with the question "How should I live?". But an obvious counter-question is: "Does this question have an answer? If not, why? If so, how might that answer be justified---how, if at all, might doubters be convinced?" In other words, that very general ethical question pretty naturally leads, as it surely has forever led, to meta-ethics. Martha Nussbaum, Susanne K. Langer, Mary Midgley. If for no other reason than I've never heard of the women you mentioned. GERARD: Point well-taken (though I'm not all that fmailiar with Langer's main body of work, other than the intro to symbolic logic she wrote back in the 1930s). ANONYMOUS: You're absolutely correct: it would have been helpful if I had given some examples of the folk-wisdom purveyed on the show, if only I could remember some of it! If it could be demonstrated that the question has no answer, then the proper response might not be "Why?" but rather "Why spend time trying to answer an unanswerable question?" Of course, this probably just betrays the fact that I'm intellectually superficial and lack the soul and stomach of a true philosopher: I'll play with unanswerable question for a while, but then I prefer to move on to what (hopefully) can be answered. You're correct that the question seems naturally to invite one to metaethical speculation. However, there is always the danger that such speculations lead one so far along the maze that it becomes impossible to find one's way back to the starting place, let alone the finish. Methinks a ball of string is required if such speculation is to remain relevant to any but a select few. In this, as in all things, balance is required. I'm not sure I know exactly what that balance is, but I think I can often tell when it has been lost. In any case, thanks for your comments Anonymous -- you've got my brain working again! Langer's books on aesthetics "Philosophy in a New Key" and "Feeling & Form" are both excellent and now, of course, largely unread, in the welter of identity politics that passes for aesthetics these days. Her "Mind: An Essay on Human Feeling" should be required reading for any turkey that thinks that he can replicate human intelligence with a few wires and fancy programming. I think it's one of the great books of the 20th century. One wonders — is philosophy that more removed from daily life than a lot of academic disciplines? But generally, point well taken. Interestingly, in a different direction: I don't know whether I should feel proud/ashamed/or what at the fact that, as someone who has a degree in philosophy, I can say I've cold, flat-out never heard of more than a quarter of the names on that list. That's not even including the names that I "recognize" but couldn't really give any sort of account of. Though the fact is, the things that me interests at the time, and the department I was in, didn't have as much to do with the analytic tradition probably has something to do with it. But still, one would think the holder of an undergraduate degree would be "well-grounded" enough to know the leading figures in the field. A lot of the names that were most important to me weren't on that list, that's for sure. MFS: From what many have told me, philosophy seems to bear some resemblance to other disciplines (e.g. Enlgish) but not to others (e.g. some of the sciences, as Swartz notes). However, I can only really speak for philosophy (and even there, only from the sidelines, as it were). Just out of curiosity, what are some of the names that are most important for you? My personal favourite philosopher, one that I can honestly say changed my life (Shaftesbury), is not on the list (because he lived too long ago), but he never appears on any list of "greats", no matter what the timeframe. Well, I went to a tiny philosophy dept. that seemingly handed tenure to a bunch of boomers schooled in existentialism and Marcuse (and there's a name which shows how quickly fashionability can fade in academic philosophy). Of the people that I studied a lot of that aren't on the list, #1 would probably be Charles Taylor. There was one point where I was simultaneously reading three different books of his in three different courses! Though I wouldn't say he had that much an impact on me (except negatively, in my deep suspicion of authenticity). As an undergrad, Richard Rorty was pretty much my #1 guy — I could quote big chunks of his essay "Postmodern Bourgeois Liberalism" from memory.